Need To Sell A House in Pittsburg, CA? And that’s before any life events that you may be dealing with. Did you inherit an unwanted property? Are you going through a divorce? Dealing with pending foreclosure? Moving? Have a vacant property? Need to do a short sell due to negative or limited equity? Tired of being of a landlord? Death in the family? Large tax bill? Selling your house during times like these can be difficult. We can make things much easier for you. It doesn’t matter whether you live in the house, are renting it out, it’s vacant, or if it’s not even habitable… Even if the house needs major repairs, such as fire damage, foundation problems, mold, etc. Basically, if you need to sell… we’d like to make you a fair cash offer and close on it when you’re ready. We buy houses and can solve your problems. Compare us to listing with an agent and see how to get you the most cash for your house. 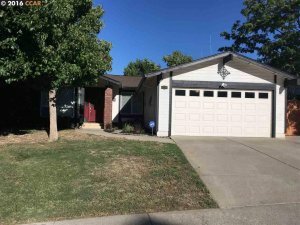 We Buy Houses In Pittsburg, CA. See How Our Process Works. Need to sell your house fast? We buy houses in Pittsburg, including the neighborhoods of West Pittsburg/Bay Point, City Center, Railroad Ave, W. Leland, Highlands, Buchanan Road, Uptown, Downtown, Woodland Hills, etc. We also work with homeowners in Concord, Antioch, Oakley, and Brentwood.